Fab night celebrating with Mr & Mrs Stott at Bartle Hall hotel on the outskirts of Preston. Lovely wedding venue & on this occasion we were in the Balmoral Suite for the evening reception. 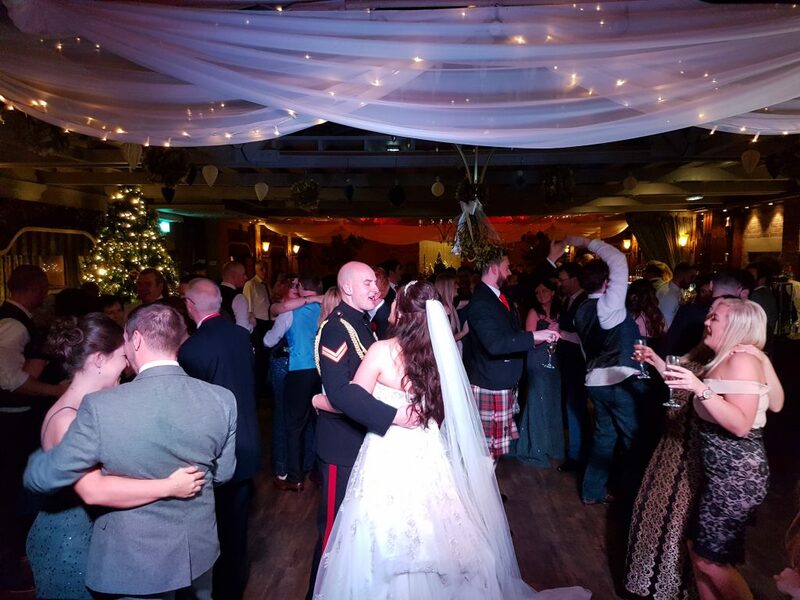 It was actually a December wedding & the room looked very ‘Christmassy’ complete with tree! First dance o clock! Complete with the groom looking very smart is his military dress uniform. 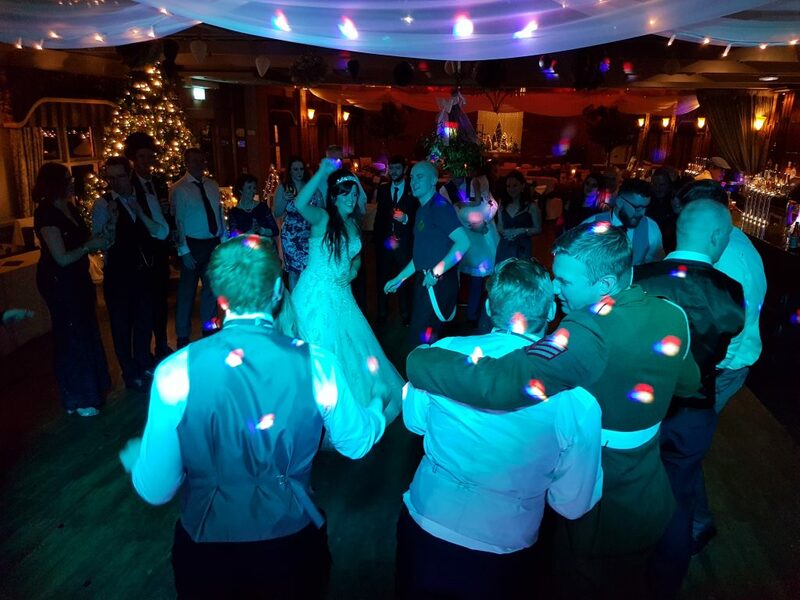 We partied through till 1am with the bride & groom still rockin’ it! 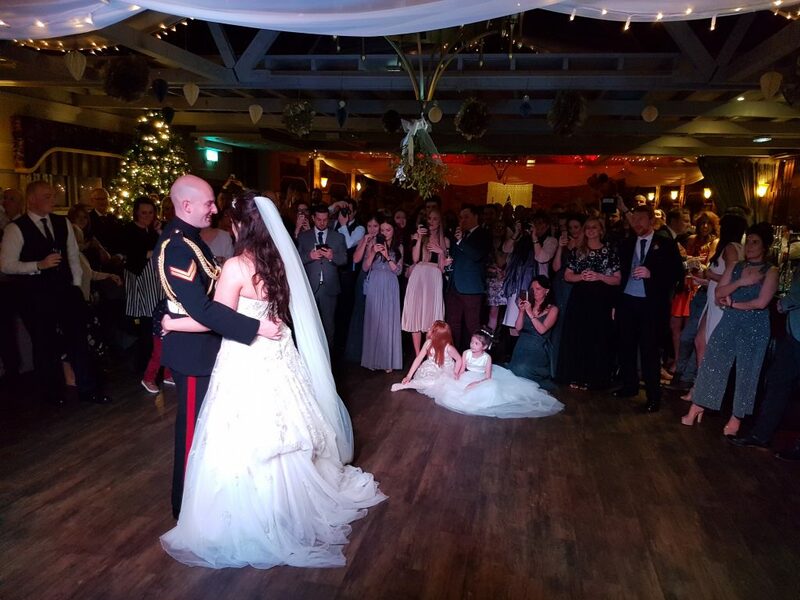 All the best to Liam & Hannah!